The latest Scottish Boot Camp news can be found below. 21/11/2011 Finalists Highlands & Islands Tourism Awards! 05/06/2011 June Camp Biggest Losers! 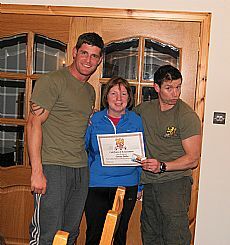 28/04/2011 A Right Royal Boot Camp! 18/04/2011 Camp Hits New Heights! 21/02/2011 Paddy’s Car Dealer Challenge!